Aluminum awnings will be custom built to exacting standards to fit your needs. New Aluminum Awnings are available in any combination of these 22 colors, 15 traditional standard gloss and 7 New Matte finish colors! Click on color chart below for a larger view. 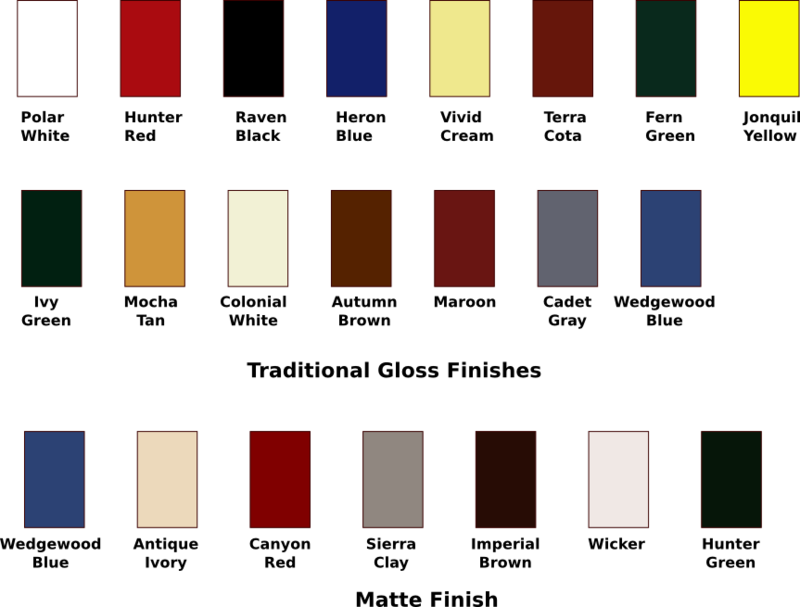 Because of variations in computers/monitors colors shown may not be exact.